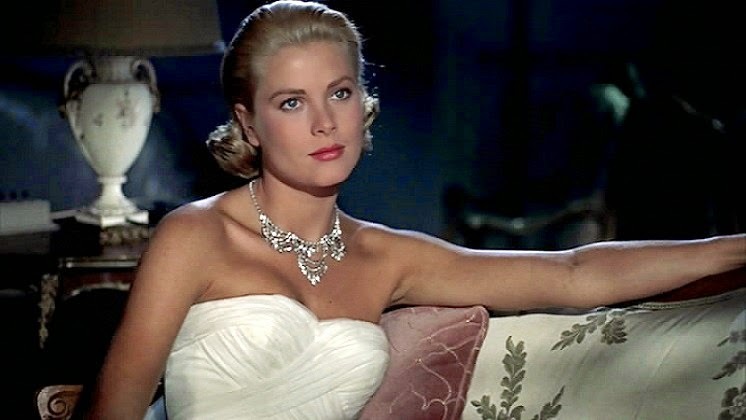 The first is Warner's Grace Kelly Collection. Available only on DVD, it offers a comprehensive cross section of the elegant actress's best known films (with two notable exceptions, High Noon and Rear Window). These include John Ford's Mogambo, Alfred Hitchcock's Dial M for Murder and To Catch a Thief, The Bridges at Toko-Ri, and the two standouts of the collection. High Society is a daffy musical version of The Philadelphia Story. Relocated to Newport, Rhode Island in order to take advantage of some cross-promotion with the Newport Jazz Festival, it offers crooners Bing Crosby and Frank Sinatra as Kelly's leading men and the gravelly-voiced father of jazz, Louis "Satchmo" Armstrong himself, as a sort of Greek Chorus. All of them, even the soon-to-be princess, take a stab at the Cole Porter standards that fill out the picture. It's fun watching Kelly (in her final role before retiring from the screen) do an even better job of interpreting spoiled Tracy Lord than another former socialite, Katharine Hepburn, had years later. Otherwise, High Society's dialogue is virtually identical to that of its previous incarnation. The Country Girl is the film that won Kelly the Best Actress Oscar. It was a crowning achievement for the actress who had appeared in 4 other films in 1954, her busiest year. Although it's a stretch for the naturally sophisticated actress to de-emphasize her more alluring qualities to play a shrewish, haranguing wife to Crosby's alcoholic, has-been actor, Kelly acquits herself well. She makes an even better, more formidable match to William Holden, the film's stressed out playwright, banking on Crosby's success in his stage comeback as his ticket to success. Shot in black-and-white, The Country Girl is a Clifford Odets kitchen-sink drama that is atypical for Kelly's film oeuvre. But then again, with a grand total of only 11 movies in a film career that only spanned 5 years, who knows what Kelly was truly capable of with more seasoning. Oldies music. Navel-gazing yuppies. Boomer guilt. Thirtysomething. These are a few of the things we can thank The Big Chill for bringing into the pop zeitgeist. They're unfortunately the same things that make the movie seem rather quaint now, 30 years hence. But I've always had a soft spot for writer-director Larry Kasdan, who's at his best when casting large ensembles and giving them intelligent conversation to wrap themselves up in knots over. And oh, what a cast of young players he got together for this one. 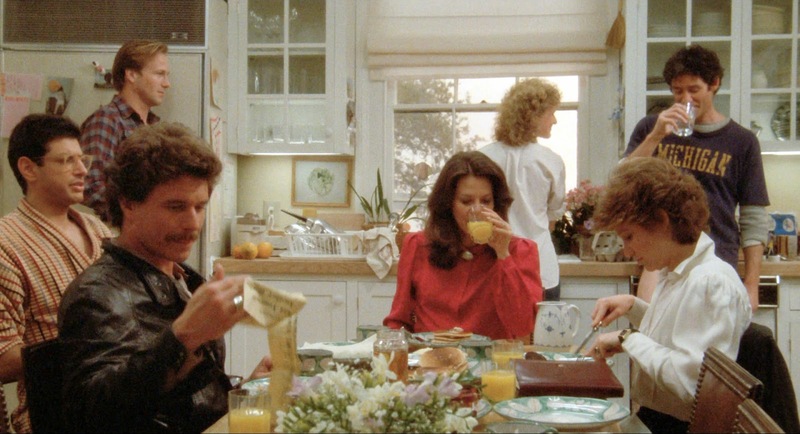 Half of them, were ones you probably hadn't seen before—Kevin Kline, Glenn Close, Mary Kay Place, Meg Tilly. 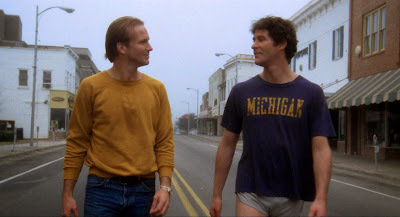 And the other half were ones you had and probably just hadn't appreciated enough—William Hurt, Jeff Goldblum, Tom Berenger, Jobeth Williams. All of them get their fair share of neuroses to contemplate, even though some feel like arbitrary eggshells to walk on from the vantage point hindsight provides. (Is anyone else curious about what exactly happened to Hurt's character in Vietnam... a vaguely-referenced impotence as a result of a physical injury or spiritual ennui?) But being older now than every one of these characters, I attempted to place myself in the same frame of mind in which I first saw the movie in the 80s, when I was much younger than each of them. It's hard to imagine now just how revolutionary The Big Chill's rather ordinary opening scene really was: to see a male leading man—even if it was then-unknown Kline—be the parental figure giving his young child a bath in the film's opening scene instead of his wife (played by Close), or to find out later that she's a doctor and likely the main breadwinner of the family. It's minor stuff to be taken for granted today. But mainstream American cinema was still catching up with post-sixties sensibilities. For 1983, The Big Chill was an impactful film that started the conversation in middle America that, for better or worse, has evolved into today's culture wars. Re: Twin Peaks, will you be offering any review of The Missing Pieces, or saving that for a piece on the entire package? Having not seen it, my first inclination is to say, no, I won't review the material that was cut independent of the final product. It's novel, but I have faith that outtake a were excised for a reason. They should be exempt from any kind of second guessing, and we should consider ourselves lucky to get any kind of glimpse at all, especially from a director averse to revealing his process. Agreed - I guess I meant "write about" rather than "judge" (i.e. what you noticed, what you enjoyed, how they tie into or diverge from the series or film, etc). Especially as Lynch seems to view them as a semi-canonical addition to the universe. I always enjoy hearing your thoughts on Twin Peaks.